FABEK, Ljubica - It’s with sadness we announce the passing of Ljubica Fabek. She peacefully passed away at her home, after courageously fighting cancer for 7 months, with her family by her side on April 27, 2018 at the age of 68. She was a devoted wife to Frank Fabek for 50 years, loving mother of John and proud grandmother of Ryan and Nicholas. SANDERSON, Ruby Kathleen (nee JOHNSTON) - 92 years young, passed away late on Friday, April 27, 2018 at Joseph Brant Hospital in Burlington after declining health due to CHF and kidney failure. 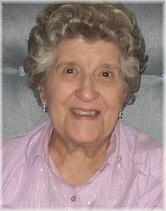 She was blessed to receive many family and friends during her hospital stay and went peacefully with family at her side. She will be remembered most for her hospitality, baking, cupboards always stocked, dry wit and many loads of laundry. It is with great sadness we announce the passing of Anna at the Joseph Brant Hospital, at the age of 94. NEIVES, Rita Amelia - Peacefully on Thursday April 26, 2018 at Allendale, Milton, in her 91st year. Rita, wife of the late Ronald (Midge) Neives. Loving mother of Jacinta (David) Green, Isabel (Klaus) Doma and the late Bernadette. Loved grandmother of Amelia and Christian. Dear sister of the late George (Marge). KONIGSMANN, Klaus Valentin - (September 14, 1929 - April 26, 2018) - Our patriarch and hero, Papa Klaus, passed away peacefully in his home surrounded by his loved ones early on April 26, 2018 aged 88 years. Klaus was in control of his destiny to the very end and chose to join Chou Chou, the love of his life, 9 days ago after having a brief illness. Klaus will be remembered by his family and friends as a generous, gracious person whose life was defined by those he mentored, helped and what he was able to give to those in need. Klaus is survived by his children Eric (Claudia), Ann (David), and Peter (Susan) and his grand children Peter, Mark, Jennifer, Tyler, Kyle and Sean. Klaus was preceeded in death by his wife Yolande aka Ma Chou Chou in 2007. SUTHERLAND, Virginia 'Ginny' Annette - Passed away peacefully on April 26th, 2018, surrounded by her family. Loving and devoted mom of Kym (Toby), Janice (Alan), Michelle (Alex), Sue-Anne (Greg). Cherished Nana to Joshua, Blake, Meghan, Mathew, Mitchell, Carter and Julianne. Predeceased by her beloved husband Karl of 55 years, and eldest child Randy (Kim). Will be missed by her sister, Joan Hickman and remembered fondly by nieces nephews and friends. THOMSON, Doug - Peacefully at Oakville Trafalgar Memorial Hospital on Thursday, April 26, 2018 at the age of 85. Predeceased by his beloved wife Betty and adored son Doug Jr. (Alice). Cherished father of Debi Chipchase (Steve), Dave (Margo) and Donald (Valerie). Proud papa of Tiffany, Timothy, Kelsey, Kirstie, Candace, Elizabeth and Christopher. Doug enjoyed a successful career proudly founding his business, Canadian Bron Ltd. in Oakville, which is still owned and operated by his family. PIERCE, William 'Bill' - Passed away peacefully on Thursday, April 26, 2018 at Juravinski Hospital in Hamilton at the age of 70. Beloved husband of Cristina Pierce. Cherished father of Alexandra Balasa and Raluca Balasa. Dear brother of Martin Pierce (Rebecca). Predeceased by his sister Mary Jane Verner. An avid cyclist, brewer, as well as gifted writer and film critic, Bill possessed talents as multifaceted as his personality. GRIFFITHS, Russell "Russ" - 88, died on April 26, 2018 just 11 days shy of his 89th birthday. He passed away due to complications of esophageal cancer and dementia, lovingly surrounded by all his family members. Russ is survived by his wife Margaret, sons Mark (Helen) and Gordon (Donna) and daughters Leslie (Chris), Susan (David) and Lynn (Jeff) as well as seven grandchildren. Russ was born May 7, 1929 in Montreal, Quebec and spent his youth living in Verdun and enjoyed summers on Heron Island. SANCI, David Christopher - (December 18, 1967 - April 25, 2018) - It is with deep sadness that we announce the passing of David Sanci of Oakville, Ontario. David died peacefully at home surrounded by his loving family. He is survived by his father, Len, sister, Cathy and his beloved children, Lucy, William and Sally. David was predeceased by his mother, Marilyn, and brother, Danny. Dave attended Oakville Trafalgar High School, moving on to the Automotive Marketing Course at Georgian College. After graduating, he began his career in the family business, Oak-Land Ford Lincoln, ultimately becoming President and Dealer Principal. MORRAD, Joan Elizabeth - (September 24, 1931 - April 25, 2018) - Joan passed away peacefully surrounded by love in her 87th year. Forever reunited with her loving husband Bryant Morrad. Loving Mother of David and his wife Sandra and Steven and his wife Kim. Proud Grandma of Dana, Jeffrey, Carson and Emma. Loving sister to Donald Hahn. Predeceased by her Brother Douglas Hahn. BAPTIST, Marion (nee Reid) - It is with sadness that we announce the passing of Marion Rae Baptist, at age 97. Marion died peacefully at Cardinal Ambrozic Houses of Providence in Toronto, on April 25, 2018. Predeceased by her husband Mel. KILEY, John Douglas 'Doug' - (1940 - 2018) - On April 25th, 2018 at the Georgetown Hospital, Doug passed away surrounded by his family. Beloved husband of Louise. Loving father to John (Sheryl), Derek (Karen), Christine, Kimberly and Jenn (Chris). Survived by his brother Ken and predeceased by Donald and Michael. RIBSON, Brenda (nee Grimshaw) - Unexpectedly at her residence on Wednesday, April 25, 2018 at the age of 80. Longtime companion of Alan Stone. Loving mother of Ken Stone and his wife Judy McHaffie and “adopted” daughter Sandra Perry. Cherished grandmother of Logan Perry. Brenda was predeceased by her sister Kathleen. McCALLUM, Dr. Roisin Colm (nee O’Doherty) - Peacefully at The Carpenter Hospice, Burlington on Wednesday, April 25, 2018 at the age of 94. Beloved wife of the late Dr. Alan McCallum. Loving mother of Dr. Andrew McCallum (Dr. Annette), Claire Prost (John), Fiona Dutweiler (Jed), Dr. James McCallum (Lisa) and Richard McCallum. Cherished Granny of 13 grandchildren and GG of 2 great grandchildren. Roisin is survived by her sister Dr. Bríd O’Doherty. Roisin had a long and productive career in public health. She was widowed at the age of 43 years and successfully returned to medical practice while raising five children on her own. She retired as Medical Officer of Health in Waterloo Region in 1994.
den OTTER, John Jacob - The Lord called John Jacob den Otter home on April 25, 2018, at the age of 71. He is survived by his wife and best friend of 45 years, Margaret (nee Spronk); his daughters Michelle (Steve Stassen) and Elizabeth; his grandchildren Hannah, Nicholas, and Caleb; his siblings Aalbert den Otter and Betty Huizinga. He was predeceased by his brothers, Job, Morris, and Andy. DAVEY, T. Lloyd - Surrounded by his three daughters, Lloyd passed away peacefully on April 24, 2018 after a prolonged illness. He leaves behind his wife of 65 years, Joyce Davey (nee Green), his brother Bruce Davey, his sister Louise McAfee, three daughters Chris Radice, Diane Daymond and Lauren Davey-Boulding, many wonderful grandchildren and great-grandchildren. ROTA, Anna - Passed away at the age of 92 at Extendicare Halton Hills on Tuesday, April 24, 2018. Anna Rota, beloved wife of the late Luigi Rota. Loving mother of Daniela (Mitch Lajeunesse) and Peter (Wendy). Beloved Nona of Derek (Kyle), David (Jennifer), Sara (Matt Haines), Jonathan, Kurtis and Jake. Special great-grandmother to Ava and Dominic Lajeunesse and Griffin and Foster Haines. Dear sister of Fiora Zanevra and Graziella Marchesich. Predeceased by sister Lidia Dambrosi and brother Peter Burra. Survived by many nieces and nephews. 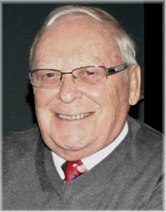 LAMBERT, George Emile - Passed away peacefully on Tuesday, April 24, 2018 at The Brant Centre in Burlington at the age of 87. Loving husband of the Late Georgina Lambert for 69 years. Cherished father of Victor Lambert (Debra) and Christopher Lambert. Predeceased by his daughter Susan Tychansky; survived by son-in-law Joe Tychansky.